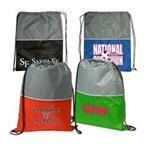 The Recession Buster - a great price on a non-woven tote bag with a full color imprint. 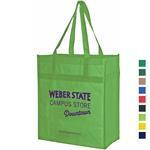 Bag new business with our Recession Buster tote bag! Measuring 8” x 10”, this knockout bag features 4” gussets and is constructed out of durable, 80 GSM non-woven polypropylene Crafted with 12” handles and stitched seams in the sides and bottom gusset. 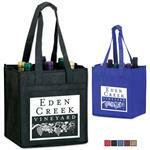 Both reusable and recyclable, this environmentally conscious bag contains 20% post-industrial recycled content. Customized with our Color Evolution 4-color process, which is perfect for multi-color designs and photographs. 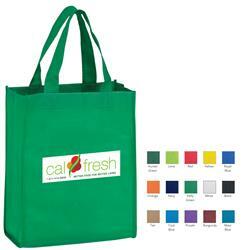 100% recycable Measuring 8” x 10”, this knockout bag features 4” gussets and is constructed out of durable, 80 GSM non-woven polypropylene Crafted with 12” handles and stitched seams in the sides and bottom gusset. 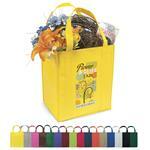 Both reusable and recyclable, this environmentally conscious bag contains 20% post-industrial recycled content. Customized with our Color Evolution 4-color process, which is perfect for multi-color designs and photographs.